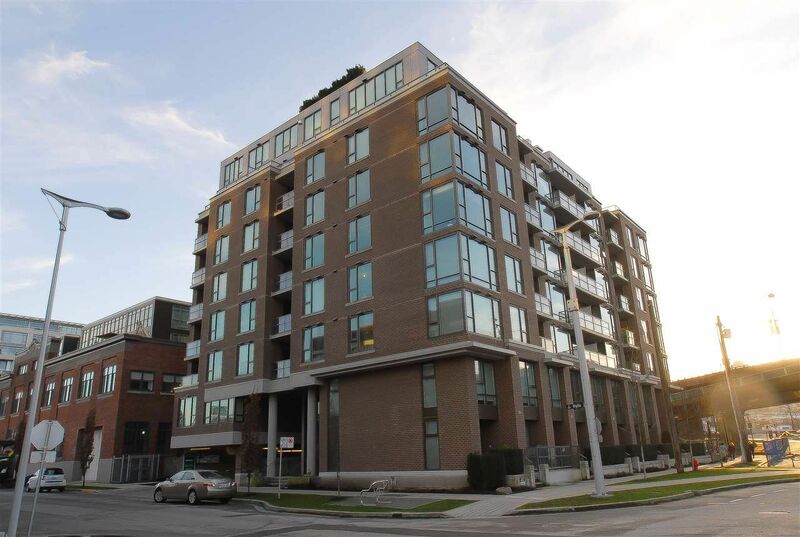 Welcome to Maynards Block, the most convenient location in SE False Creek! This 3 year new condo is only 4 minutes walk to the gorgeous seawall, close to The Village on False Creek & to Cambie/Broadway where it's buzzing with world-class shops and restaurants. Not to mention, this location is just 5 minutes walk to the Olympic Village Skytrain station and a bridge away from downtown! This desirable 1 + den offers a super-efficient floor plan with a modern interior which includes stainless steel appliances, high-gloss cabinetry, laminate floors, stone countertops & plenty of space for a couple or starting family. 1 parking stall is included.